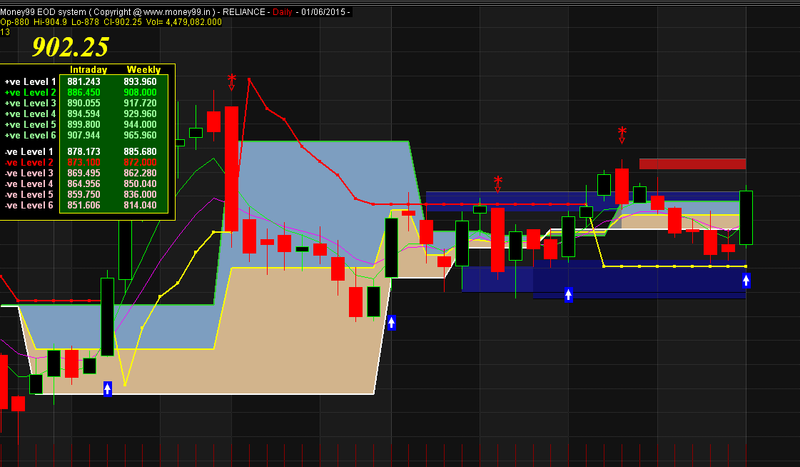 RELIANCE closed up 25.250 at 902.250. Volume was 21% above average (neutral) and Bollinger Bands were 52% narrower than normal. RELIANCE is currently 2.1% below its 200-period moving average and is in an downward trend. Volatility is relatively normal as compared to the average volatility over the last 10 periods. Our volume indicators reflect volume flowing into and out of RELIANCE at a relatively equal pace (neutral). Our trend forecasting oscillators are currently bearish on RELIANCE and have had this outlook for the last 3 periods. 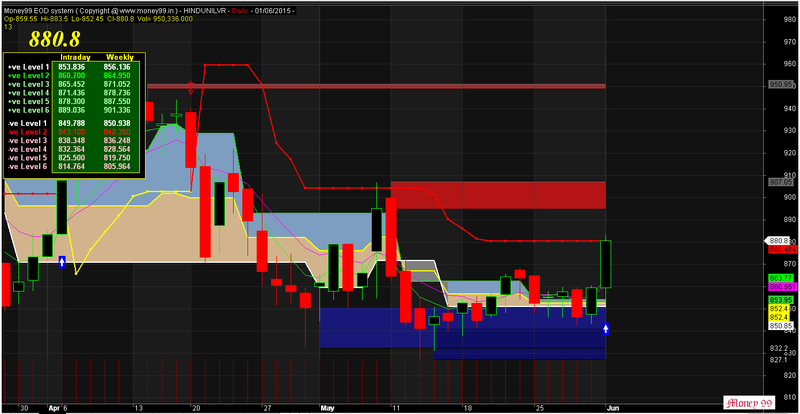 HINDUNILVR closed up 21.250 at 880.800. Volume was 45% below average (neutral) and Bollinger Bands were 56% narrower than normal. HINDUNILVR is currently 7.3% above its 200-period moving average and is in an downward trend. Volatility is relatively normal as compared to the average volatility over the last 10 periods. Our volume indicators reflect volume flowing into and out of HINDUNILVR at a relatively equal pace (neutral). Our trend forecasting oscillators are currently bearish on HINDUNILVR and have had this outlook for the last 27 periods.